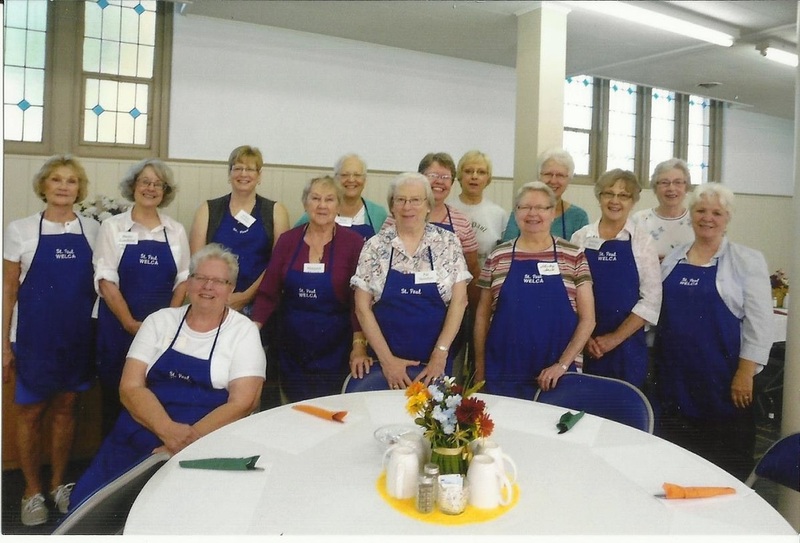 Women of the ELCA - ST. PAUL LUTHERAN CHURCH Share God's Love; Serve all People 32 9 E State Street, Mason City, IA 50401 641-423-7749 OFFICE HOURS: Monday through Friday 9 a.m. to 1 p.m.
Women of the ELCA is the women's organization of the Evangelical Lutheran Church in America. As a partner in the total ministry of the church, the organization affirms, supports and challenges women in their daily ministries at home and around the world. All confirmed women at St. Paul are part of the Women of the ELCA (WELCA) group. There are no registrations or fees, no requirements, only the opportunity to serve, share and make new friends. WELCA meets every first Wednesday at 9:30 a.m.
WELCA is responsible for the fall Brunch in the Park, as well as the Fall Salad Luncheon. In addition, they have other events throughout the year and help with different service activities that you can read about below. When families have little chance to gather belongings before fleeing danger, they arrive in refugee camps or other safe places scared, vulnerable and dirty from travel. The simple items included in a Personal Care Kit allow them to be reminded of someone's care and concern for them in their plight. Education is important for every community, especially where poverty or disaster has limited the options for young people to reach their potential. School kits contain essential supplies to help children and some adults continue learning despite the hardships they face. 70-sheet notebooks (280-300 sheets total) of wide- or college-rules paper. No loose leaf paper. 30-centimeter rulers, or rulers with centimeters on one side and inches on the other. Items may be left in the Narthex, Fellowship Hall or Office.